Garver's Houston, Texas office formed a team to participate in the ConocoPhillips Rodeo Run in downtown Houston. 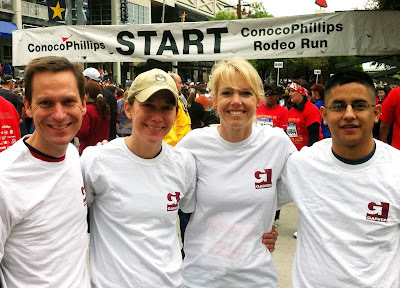 Garver employees Tom Dodson and Tirso Gonzalez, along with Betsy Dodson and Stacy Garcia, ran the 10k with more than 15,000 other runners, which set a race record. In its 25th year, the event raised more than $400,000 for the Houston Livestock Show and Rodeo Educational Fund. Since 1988, the race has contributed approximately $3.3 million to support college scholarships.